1. 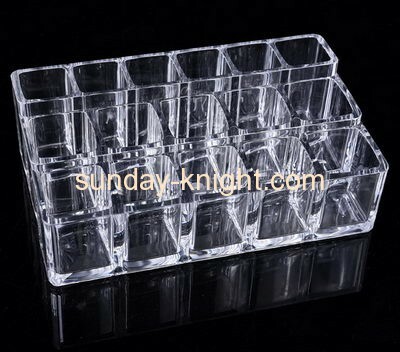 Acrylic cosmetic dispaly stand holder. 2. Our acrylic cosmetic and accessory organizers are best make-up mate for modern ladies. 3. 3 spacious organization for brushes. pencils and tools. 4. The perfect counter top storage solution for brushes. eyeliners and tools.